Share kitchen space with brilliant chefs like Urbano do Rego, Ananda Solomon, Floyd Cardoz and Thomas Zacharias, and you’re sure to be left with a culinary treasure trove. 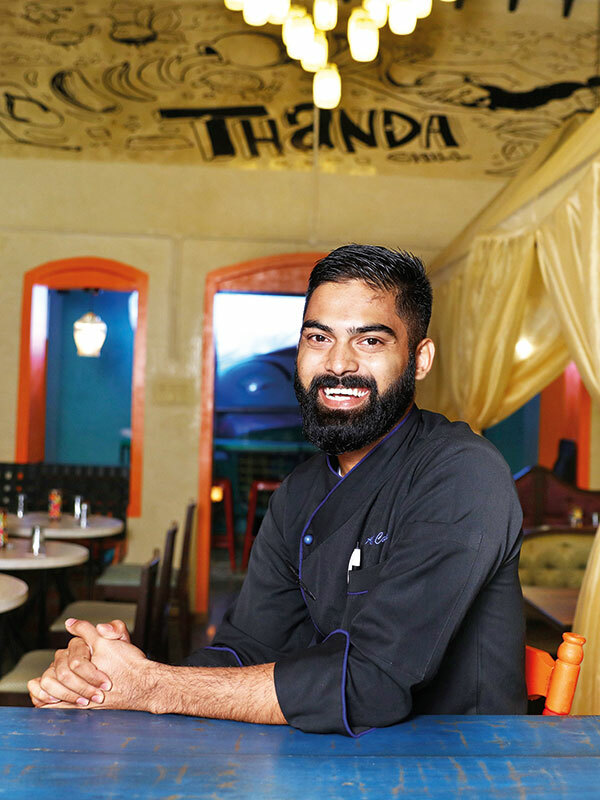 Currently head chef at Desi Di in Chennai, the Goan-born Aaron Coutinho believes that taste and technique are evergreen, and cooking is an art which can be mastered only after years of experience. You, in three words: Eager, hardworking, blunt. Passions outside of your work are…travelling locally, football and jiving. Your first tryst with food was…when I started helping mom in the kitchen. Your favourite cuisine is…regional Indian, as it is something I can connect with. I also enjoy Vietnamese food, as I had visited Vietnam on a culinary trip and instantly fell in love with their refreshing flavours, their respect for all parts of an ingredient, and how they celebrate food as a way of life. Success is…being content and still having eternal zeal. A nostalgic dish: It has to be the rawa-fried Bombay duck. A dream come true would be…to see the world’s best restaurant coming out of India. A dish that reflects the spirit of India is…the humble biryani. It has regional varieties in almost all parts of our country, and is well-received everywhere. It is so simple yet complex, satisfying and nourishing all by itself. It is the perfect metaphor to describe India too, where a bunch of complex diversities make a harmonious self-sustaining nation. The motto you live by is… the philosophy of stoicism. Do your homework and then go with the flow. This year will be…the year for Indian cuisine internationally and locally. I am looking forward to people celebrating the diversity of flavours we have and taking pride in local produce.